Press release: The Illinois Department of Commerce & Economic Opportunity and the Illinois Business and Economic Development Corporation (ILBEDC) announced today that German pharmaceutical service provider Vetter plans to develop a new production and distribution facility in Des Plaines. 1. 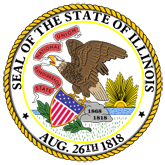 Illinois Lands International Pharmaceutical Service Provider (16-0510-DCEO_Pharmaceutical_Service_Provider_Release.pdf).